Facial fillers are growing in popularity. Since they are effective in smoothing away wrinkles, more people than ever are requesting them. Understanding what facial fillers are, what they treat, and how long they last can help you decide if they’re right for you. Facial fillers help diminish lines on the face. 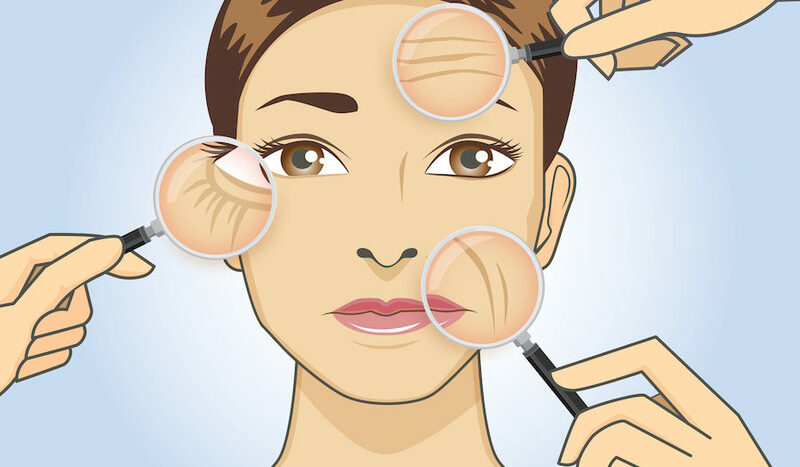 They can also bring back fullness to the face, which can be lost through the aging process and/or weight loss. Restylane and Juvederm are similar in that they are both made with hyaluronic acid (HA), which is a natural sugar in the skin. Since they are made without the use of human or animal DNA, they are considered among the safest fillers today due to their lower risk of causing allergic reactions. Perlane and Juvederm Ultra Plus are also similar. They are thicker than Restylane and Juvederm, but use HA too. People often request these fillers if they have deep wrinkles since the thickness is more effective in smoothing them away. RADIESSE is made of calcium hydroxylapatite. This is a beaded calcium-based formula made of bone and cartilage and lasts longer than HA fillers. Sculptra Aesthetic is used as more of a volumizer instead of a wrinkle smoother. It’s made of poly-L-lactic acid. Another product used exclusively for restoring volume (to the cheeks) is JUVÉDERM VOLUMA® XC. Most fillers will last from 4 to 9 months, but there are exceptions to this standard that we will explain to you in the office. Most people see a difference immediately. Full effects take about a day or two for most fillers. However, some fillers work by stimulating the body to produce collagen. These types of fillers take up to a week or more for the effects to begin showing. You will receive a topical skin anesthetic to make you comfortable during the injections. This is ideal for those who are squeamish about needles. The bonus is that the cream used not only decreases the sensitivity to the injections, but it helps prevent bruising too. Some fillers, such as JUVÉDERM VOLUMA® XC, offer numbing solution inside of the filler itself. This allows for the injections to be more comfortable during treatment. If you’re interested in facial fillers for yourself, contact me today. We can set you up with a free consultation to discuss which type of wrinkle filling treatment can help you achieve the look you desire. We proudly serve communities in Suffolk County and beyond including Islip, Manhattan, Commack, Rockville Centre, Huntington, Westhampton Beach, Farmingdale, and West Sayville. JUVÉDERM® and JUVÉDERM VOLUMA® XC marks owned by Allergan Industrie, SAS. Restylane®, Sculptra® Aesthetic, and Perlane® marks owned by Galderma Laboratories, L.P.
RADIESSE® is a registered trademark of Merz North America, Inc.
All other products mentioned are owned by their respective registered trademark owners.